Wouldn’t it be nice to earn some extra money. A gift card to help with date night expenses or some extra income in paypal for those Amazon purchases. I am frequently trying to find ways to make some extra money. Phone applications or apps are one of the ways I have made some extra cash to help me get through the harder financial times. Are apps a good way to make some extra cash? Apps on phones I have found can help to make a little extra cash. I have not found one or even three that if combined could replace a minimum wage income so it is not extremely lucrative. However, if you have time to kill or want a game night with your beau you could go towards some different game apps and have fun playing a game and get paid a small amount to do it. Many apps can also be played while watching TV, waiting for supper to bake, or while waiting for appointments. Many of them need a good WiFi connection or data connection to allowance you points as well, so something to think about. You get $10 for trying the app with this referral code: wnhlrri (but really with any referral code, so you don’t have to use mine) You have to redeem and offer to be able to get the $10 back, but with Target and Walmart being on the app and the online options available (That weren’t when I started using it). It is easy to do. The funds can be placed directly into PayPal or you can redeem for gift cards as well. Funds can be cashed out at $20, which is what I have found with a few apps. 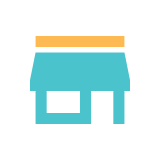 So many stores and options from travel sites, to ‘any grocery store’ and multiple gas stations are available through Ibotta. Ibotta also has a good online platform that can be used through your computer which some apps do not link to. Even Amazon Prime can give you back money on ibotta now. It is only 50cents on a rental, but every little bit helps, so if you are a renter on Amazon you might want to give this a try. You can check out the website here: IBOTTA You can even have teams on Ibotta and earn more rewards. Invite your friends, have contests to seewho can save the most on their normal, everyday purchases. Or you can join my team with the referral code above. Happy Saving! CheckOut 51 is similar to Ibotta. You purchase items and then you scan your receipt. The amount of products is a little less and some are limited to a single store. Some items however can be purchased at any store and this is helpful for myself, due to living in a very rural area. When your account reaches $20 they will mail you a check. For more information Check out 51 FAQ. CheckOut51 doesn’t have a great website platform, but still offers some great ways to save. 193 offers $300.34 This was the potential offers today. Lucktastic is a scratch card lottery game. I have enjoyed this app. You watch a video and then you get a scratch card for points or money, just like a normal lottery ticket. The app is free, there is a possibility to scratch off and win $10,000 and there are other contests. If you log in daily there are daily rewards and I have gotten $1 a couple times from it. If one was diligent in scratching all the lottery cards every day and never won, you would still be able to get a $5 gift card from amazon in about 3 months. Much depends on how many points each scratch card gives and what the daily bonus is. If you wait you can get a $50 Amazon gift card for a better deal on your points as well. Delayed rewards = better return. You can check it out here: Lucktastic! Store specific apps can get you much money back on the products you love at the places you love to buy them. Many local and national stores now have apps that offer many ways to get some cash back on your daily purchases. I love my Dollar General App, I have saved $100s on normal purchases and most of what I buy is on sale as well, so I get huge savings here. I live in rural MN and this is one of the main stores available, unless I drive an additional 30 miles, cost of gas and time is not worth it to me, plus I save more at DG. Walmart and Target both also have great saving apps. Eating out? There are many restaurants that now have apps and you can often get free apps! Appetizers that is or other options. Don’t forget to check restaurants on Ibotta as well…You can get extra off! So I am not going to rate worst apps as far as income goes. Really, the worst apps for making money are the apps you spend money on. Especially the ones that have no possible way of income. Have a Candy Crush addiction so bad you are paying for extra lives….You should probably dump it. If you don’t spend money and you get paid for your time playing it through Applike or an app similar you can keep it. But if it takes you away from doing your job or following your career goals, you may want to think of uninstalling it. Worst apps for financial situation and money making are the ones that don’t offer any incentive or you spend money on them. An app that I thought would be very promising for some extra income was “Cash Visa” OR “Make Money and Earn cash app.” This app had the potential of making approximately $10/hour watching ads and ‘tapping’ the cube to break out a gift card. Sadly I watched ads and tapped the cube to make TWO $500 gift cards. And then the app did not follow through. I am surprised, there are so many excellent reviews in comparison to the poor reviews, but I dug deeper and even called the gift card facility and was told it is a scam. . I still have not received my gift cards which the app says should be sent within 5 days to my email. It has been a month. Apps for cash works ok for a little extra spending money. I have not found one that could replace a job, or even 3 together. To make much money takes quite a bit of time as well which can take one away from more important things in life. So apps that pay you sounds great, but there isn’t one out there that is really wonderful as far as I have found. If anyone knows of apps that have better pay back please feel free to comment below. I would love to try them out. It is always nice to make a little extra money or have a gift card for date night. Thanks!